What if you could immediately improve the occurrences of thread breaks and skipped stitches in your sewing operations for between $1 to $3? Would you be interested? Often overlooked, choosing the correct needle for your sewing application is absolutely critical to flawless performance of your sewing line. With the new thread and sewn fabric materials available today, it may be time to check the needle size for your operation – Are you having skipped stitches and thread breaks? Are you using the same needles you have always used? Here are some tips to help you see if you have an opportunity for improvement. Thread breaks regularly – the needle is too small for the thread used, causing thread abrasion and breaks. Malformed stitches occur regularly – the needle is too small for the material, causing needle deflection. Needles break, even when replaced with new ones – breaking needles is a sure sign of a problem, and can lead to personal injury and machine damage. Skipped stitches – thread is uncontrolled, making consistent loop formation difficult. Seam Pucker – fabric deformed along seam line, can result in seam leakage with some sewn products. Grab a needle and about 12 inches of the thread you use. Hold both ends of the thread and move one end up to create a 45 degree angle. The needle should slide down the thread. Now reverse the process and see if the needle slides back down the thread. Does the needle slide freely down the thread? If so you know the needle is large enough – if not, your needle may be too small. In general, you want the smallest size that will slide freely down the thread. 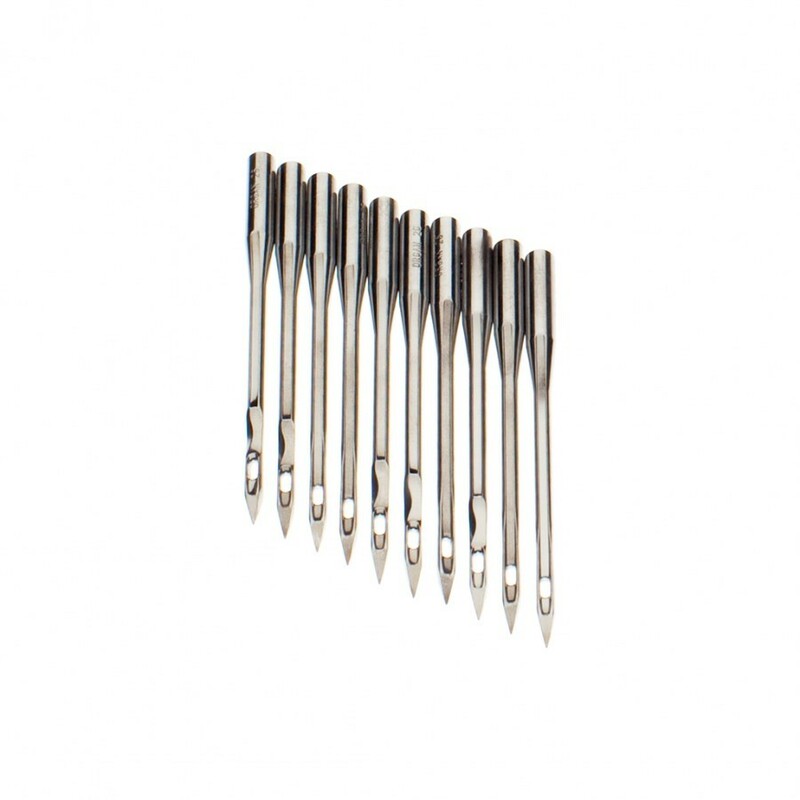 While there are many other features to consider when choosing the right needle for your sewing application, size is one that is pretty easy to determine and check. How do you check for the right needle size in your operation?